Rose and I were tickled pink when we spotted these stunning images on illustrator Leila Fanner’s Facebook page this morning. 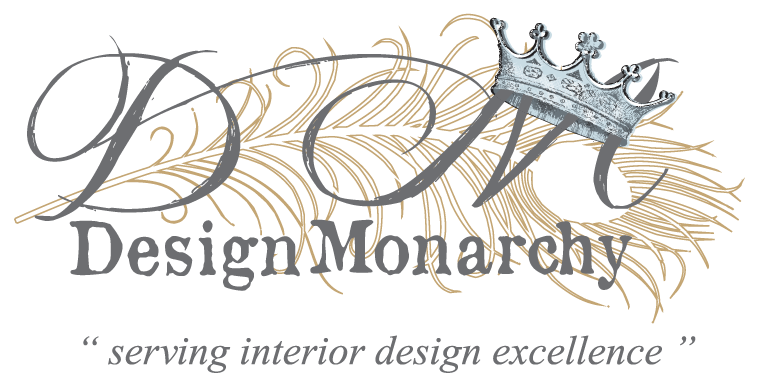 You might remember Leila as the talented lady who designed Design Monarchy’s beautiful logo (we did an interview with her: here). Well, it seems Leila is opening a little collaborative shop in Riebeek Kasteel and has been experimenting with painting her lovely designs on various ceramic pieces. Leila, we sure hope the experimentation in a resounding success because we LOVE it – this would make a gorgeous new additions to your product range! 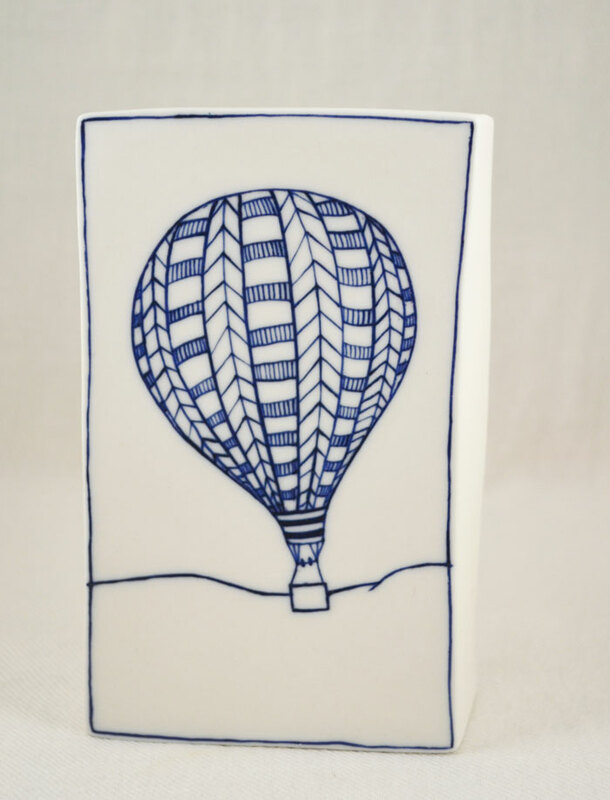 Leila Fanner, Ceramic Artist – it’s got a nice ring to it, doesn’t it?! To find out more about the Creative Collective and Leila’s experimental first steps into the world of ceramic artistry, check out her website: here. I have to confess the Emerging Creatives exhibitors is my favourite part of the Design Indaba Expo each year. I would have no problem skipping the main exhibition space and head straight for the Emerging section. I guess one can easily get tired of seeing the same faces, designs, and product – the Emerging Creatives however always offer something fresh and new. Part of this year’s Emerging Creative programme was Lucy-Made, a Cape Town-based jewellery and stationery design brand founded by artist and illustrator, Lucy Stuart-Clark. The stand was a little unassuming and I almost walked straight past without giving it a second glance… then the brooches called to me. Okay-okay, that might be a little dramatic but seriously they were beautiful and like nothing I have ever seen before. The brooches are made using white earthenware clay and decorated with under-glaze ceramic paints with touches of gold luster. I loved the large cameo designs and the gorgeous colour selections – the inky blue looked especially beautiful paired with the gold. My absolute favourite was the brooch featuring a rather stately looking gentleman with a red pinstripe background. The Lucy-Made ceramic collection includes earrings, bracelets, buttons and, of course, the above mentioned brooches. Lucy also designed a stationery collection which comprises of hand-bound note and sketchbooks made of recycled paper and covered with envelopes and old South African naval stamps. Be sure to check out Lucy’s website: here. My fingers have been itching quite some time to attempt some of the ingenious DIY projects I have found on Pinterest. I have to confess the only reason I have not yet tried any of the DIYs I have so painstakingly pinned is that I’m all thumbs… that and quite lazy. The concrete projects especially have piqued my interest – they usually look super sleek and contemporary, not to mention very impressive. I’m also hoping that hearing the words “DIY” and “concrete” in the same sentence will convince my brother, the civil engineer, to be my DIY minion for a day (translation: I’ll sit on a chair with a tall drink shouting directions while he does all the heavy labour). Mette from monsterscircus made these cool advent candle holders and small votives out of concrete. She used empty cool drink cans (that’s “soda” cans for our American friends) and water bottles as moulds. I love the glitzy paint-dipped effect, especially since metallics like gold and copper are currently trending – it adds a lovely rich and glamorous element to the concrete votives. Pop over to monstercircus for the step-by-step instructions: here. Looks like a designer pendant lamp doesn’t it? You would have to fork over a bunch of cash if you spotted something similar in a retail space. Ben Uyeda of Homemade Modern only spent $9 (that’s about R 90) on this concrete pendant light that took him just 2 hours to create. 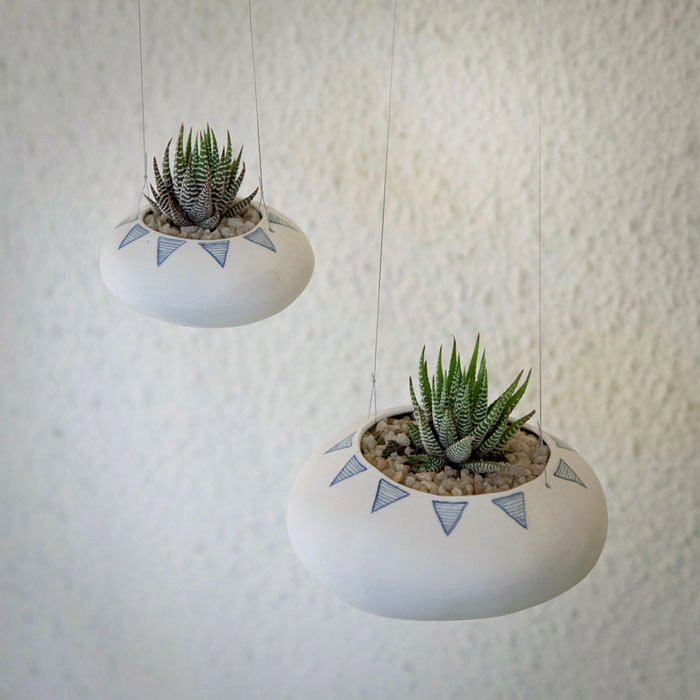 With just a bit of ingenuity, you can make yourself an entire set of stylish concrete pendant lights with a single bag of concrete mix and some old plastic bottles. Want to try this DIY yourself? Check out Ben’s instructions: here. Another SUPER awesome DIY project from Ben and the Homemade Modern team – concrete milking stools! Isn’t it absolutely adorable? Ben used an old 20 litre bucket (that’s 5 gallons for those not metric literate) as a mould for the concrete seats. These stools cost about $5 a pop to make! I think I’m definitely going to try these first! Check out the Homemade Modern website for the play-by-play: here. Eilen Tein deconstructed some cardboard letters she bought to serve as moulds for her concrete letters. These look absolutely smashing as bookends or as quirky décor on a mantle or shelf! Visit Eilen’s website to see her concrete alphabet recipe: here. Who’s Going To The Trunk Show? There is an exciting new first happening this weekend in Cape Town… the first ever Ideas Magazine Trunk Show! Now as you might know from previous articles, we here at Design Monarchy love our Ideas Mag – so this is a a show we dare not miss! It is set to be an awesome boutique showcase of locally-made bespoke home décor and accessories, unique handmade and crafted items, as well as originally designed wares. Many of the vendors and exhibitors attending the Trunk Show this year have previously been featured in Ideas Magazine, and their work will be showcased at the show in a visually amazing space created by the Ideas team. One of the things Rose and I are most excited about is the fact that the Ideas team create 99% of the DIY items featured in the magazine and this is a once off opportunity to purchase them! “One of the biggest global trends at the moment is the ‘handmade movement’, reflecting people’s need for personalisation in a world of mass-produced products,” says Ideas magazine editor Terena le Roux. “Whether you love to create, or are just inspired by the extraordinary craft of others, the Ideas Magazine Trunk Show is a unique browse-and-buy experience that personally introduces the creations of over 20 talented exhibitors to an audience ever on the hunt for handmade and niche products for yourself and for your home,” says le Roux. Before or after a look and a shop, guests can have a bite to eat in the Lodge’s vintage dining room or sip on a glass of wine in the show’s wine lounge. Also on sale will be difficult-to-source craft equipment. For more information log onto www.ideasmag.co.za Look for the Ideas magazine page on Facebook www.facebook.com/Ideasmag or follow @Ideas_magazine on Twitter. Farah creates fresh individual porcelain pieces that range from paper-thin vases and framed porcelain “canvases” to dainty planters – both wall-mounted and hanging. 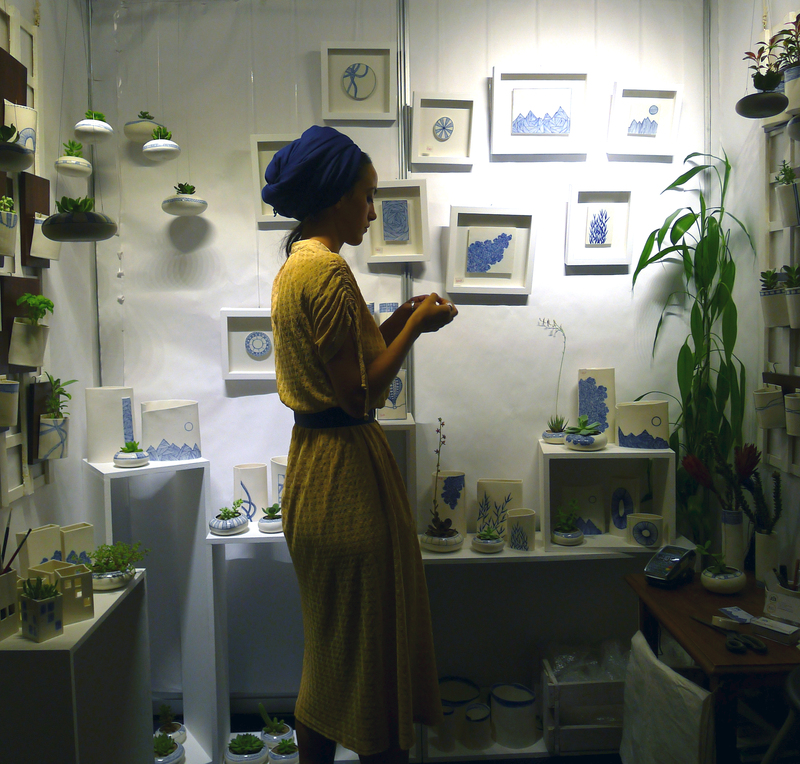 Her current range allows her to combine her three loves: illustration, porcelain, and plants. Staying true to the ancient porcelain tradition of “cobalt on white” (first popularized in 14th century China), her latest collection makes use of blue as its only colour. 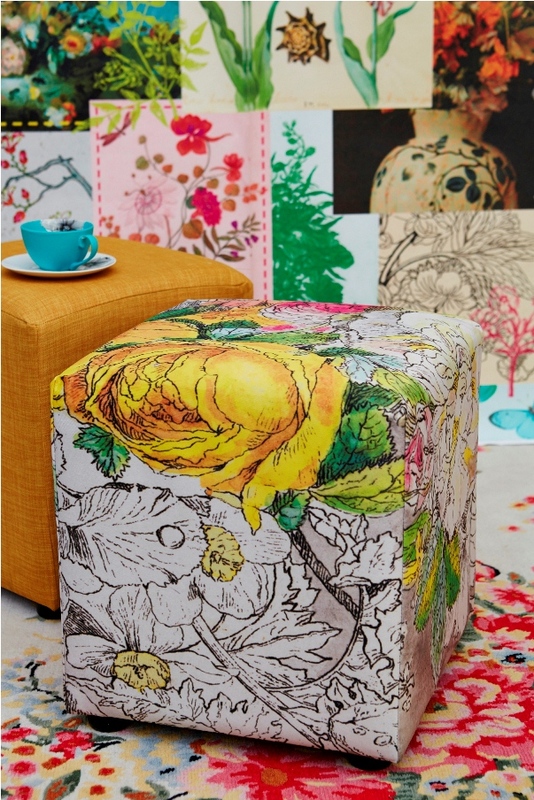 Farah however keeps the overall style contemporary – clean and elegant lines with light-hearted whimsy illustration. 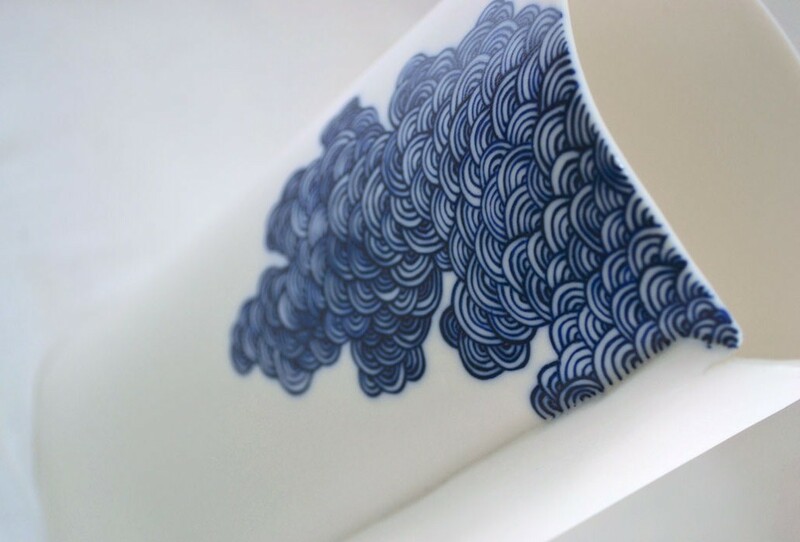 She uses the white porcelain as a blank canvas, emphasising the hand-painted designs – intricate patterns that evolve into simplistic shapes and landscapes. Farah paints the illustrations free hand, without pre-sketching the designs. This “doodling” as she calls it, insures that each item is an unique once-off – she has no desire to become a mass-producer. To find out more about Farah and her beautiful creations please visit her website: here, or her Facebook page: here.